Mold can grow quickly in damp environments, which is why spores are often found in humid areas of a house, including bathrooms. Breathing in the spores can cause sinus problems, asthma attacks, headaches, and additional distress, which is why you should call a mold removal specialist immediately to address the issue. Otherwise, taking the below steps will help limit potential mold growth on walls, floors, plumbing fixtures, and additional belongings in the first place. Home bathrooms can be susceptible to mold growth when people shower. During and after showering, steam from the hot water cannot filter out of closed doors and windows. With nowhere to go, the moisture lands on bathroom surfaces. Taking steps to reduce the humidity after showering will limit the risk of potential mold growth. Beyond cracking doors and windows, you can also install ceiling or exhaust fans in bathrooms to help filter out moist air or run a dehumidifier to control the humidity. Even when you strive to keep humidity levels low, water can still splash on floors or counters after bathing and brushing teeth. Taking extra time to clean up puddles and water droplets on plumbing fixtures, floors, windows, and between tiles before the moisture evaporates will help you limit potential mold growth. The grout holding tile in place can become brittle and crack over time. When this happens, moisture can settle in the crevices. Mold spores can grow in the gaps and could spread to other surfaces. 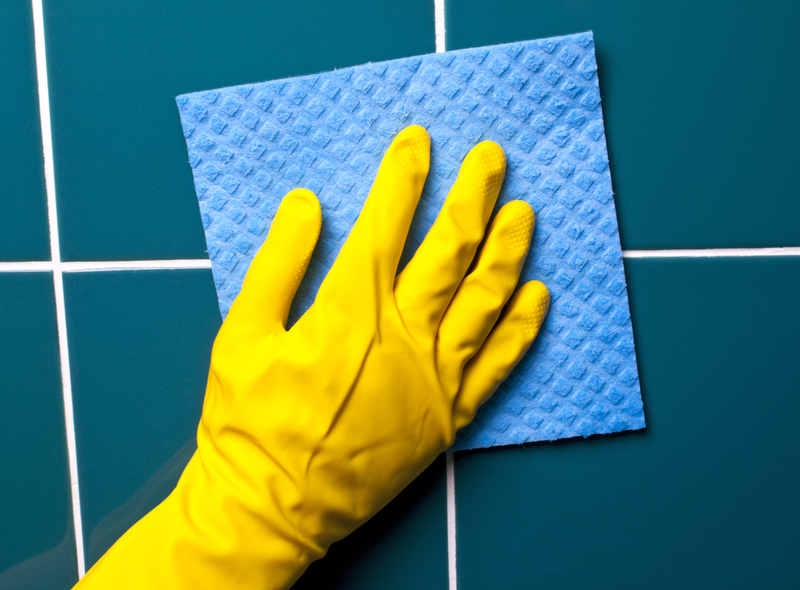 When you wipe down walls and floors to remove excess water, check the condition of the grout lines. Re-caulking or re-grouting damaged areas will provide a moisture barrier to limit potential mold growth. If you do see suspicious fungus growing in the bathroom or any other areas of the house, call the mold removal specialists at Arkansas Restoration Services immediately for help. Homeowners throughout Pope County, AR, turn to the Russellville-based crew to reverse signs of water damage after storms, plumbing problems, and additional emergencies. They will also share advice to prevent future disturbances. To restore home safety and comfort, call (479) 967-2018 to schedule mold removal. Visit the restoration company online to learn more about the technicians’ approach to eliminating mold and mildew from clients’ properties. Become a Facebook follower for tips to limit property damage after a disaster. Other Announcements, Events and Deals from Arkansas Restoration Services Inc.